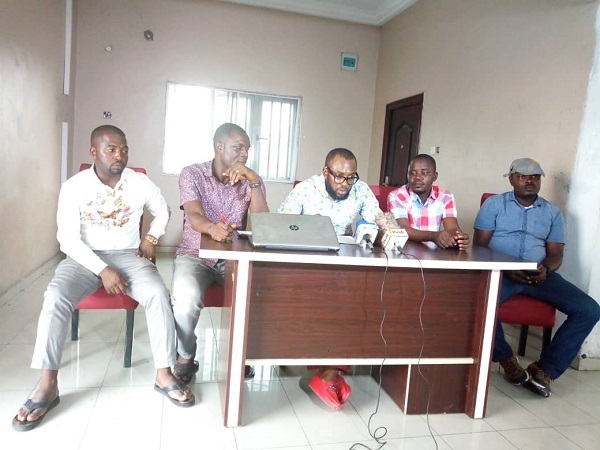 The Itsekiri National Youth Congress of the (INYC) through it’s Exco on Monday endorsed Delta Governor, Senator Dr. Ifeanyi Okowa for a second term. Speaking with newsmen on Monday in Warri during a press briefing, the Itsekiri National Youth Congress, President Comrade Esimaje Awani made this known. ”As the president of the INYCo, it is my responsibility to watch the trend of Governance, to lead and guide the youths in positioning themselves where they will be of most value and where they will be able to take advantage of what the Government has offer them. “In this forthcoming elections various political parties have fielded a vast selection of candidates with different credentials and portfolios as to what makes them the better choice to lead this great state in the next four years. “All of them have their merits and would be a great addition to the development of our fair state. “Being ever watchful of the events and trends of the past three and a half years, I have seen a massive investment in our micro economy by the training and establishing of over 20,000 person’s in their choice Enterprise. “I have read of the 100,000 private sector jobs created through programs and activities of MDAs. I have seen a road rehabilitation revolution that has given the state’s dilapidated road structure of facelift. ” I have also seen a huge wave of class room renovations to create a better leaning environment for the children. I was also made awareness of the UNIVERSAL HEALTH COVERAGE Scheme that already has almost 500,000 persons enrolled in it. “There are some of the accomplishment of the current Government of Governor of Delta State and with these strides in the right direction by the current Administration it would be a strategy of to stop this train of progress, it will be an injustice to the good people of Delta State not consolidate on the growth that has been made. “On this note, we hereby endorses the revalidation of Governor Ifeanyi Okowa’s mandate as the best choice amongst every candidates vying for the Governorship position.